Finally, a healthy dental treat for cats with a taste they love! These all natural and nutritious crunchy treats are irresistible to cats. 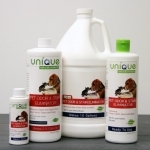 Discerning pet owners will love that they’re grain free, gluten free, soy free, dairy free and made in the U.S.A. with all natural US ingredients. Whimsical fish shaped treats are big enough to encourage chewing versus just swallowing for maximum dental health. With six formulas cats absolutely love, plus innovative ingredients used to fight plaque and tartar, these delicious treats are rewarding for cats and their parents. Yummy Chummies Treats are naturally delicious for cats of all ages to enjoy! That's because they're made with real, wild Alaska seafood, responsibly harvested from deep, icy waters. One taste of these soft and chewy creations and your kitty will be hooked! 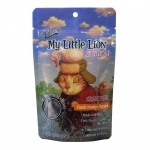 My Little Lion Lick’n Chicken cat treats are delicious little morsels that are soft and moist. Made with over 40% real Chicken, your cat will love the taste. My Little Lion Lick’n Chicken cat treats are grain free and have less than 1.3 calories per treat. 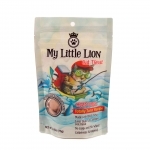 My Little Lion Salmon-Licious cat treats are delicious little morsels that are soft and moist. Made with over 40% real Salmon, your cat will love the taste. My Little Lion Salmon-Licious grain free cat treats have less than 1.3 calories per treat. 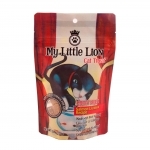 My Little Lion Totally Tuna cat treats are delicious little morsels that are soft and moist. Made with over 40% real Tuna, your cat will love the taste. My Little Lion Totally Tuna grain free cat treats have less than 1.3 calories per treat. Harbor Harvest™ canned Salmon and Whitefish Dinner with Vegetables is an excellent source of high quality protein. This grain-free dinner includes wholesome vegetables like peas and carrots. The salmon and whitefish tuna are wild caught and dolphin safe. The fleshy cuts of fish are flaked straight from the bone and sure to please your finicky cat. Zuke's Cat G-Zees Savory Salmon Grain-Free Treats 3 oz. “G” is for grain-free + glucosamine. Every delicious bite is packed with nutritious turkey or salmon and omega-rich fish oil plus glucosamine and cranberries to help support joint and urinary tract health. 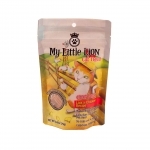 My Little Lion Duck Hunter cat treats are delicious little morsels that are soft and moist. Made with over 40% real Duck, your cat will love the taste. My Little Lion Duck Hunter cat treats are grain free and have less than 1.3 calories per treat. Catit® Style Ornamental Cat Scratchers combine unique design symmetry with functionality and aesthetics for a contemporary approach. 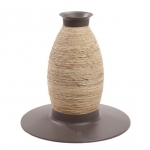 - Note: The scratchers is very stable and will not tip over during normal use. If additional stability is required, the hollow center allows you to place extra weight inside the scratcher (small pebbles, sandbags, etc). 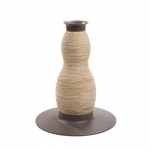 - Note: The cat scratcher is very stable and will not tip over during normal use. If additional stability is required, the hollow center allows you to place extra weight inside the scratcher (small pebbles, sandbags, etc). Our Lazer Brite collection uses the same reflective material used by safety professionals. Lazer Brite collars and leashes are visible to approaching motorists from critical braking distance up to 600 feet! This Fairbanks Cat Sack is a unique toy that combines the fun of a toy with the cozy privacy of a bed for your cat. While drawn to the soft, inviting interior that conceals crackling material underfoot, your cat will be happily purr-plexed! 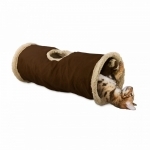 Enhance your cat’s environment with this Find Me Cat Tunnel. The tunnel design gives your cat a spot to hide out. 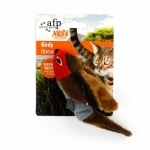 The feather on the one side keeps your cat's attention and the crinkle noise encourages play. Your furry friends will enjoy hours of exciting fun. 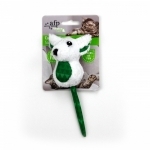 AFP offers multiple types of this toy available at HRCO. Chase & play, this is exactly what the Wand & mouse with feather and lambs wool gets your cat to do! AFP offers multiple types of this toy available at HRCO. These are shipped in assorted colors. Grab your cat’s attention! This is exactly what the Lamb kebab wand does. The wonderful smell of catnip encourages your cat to continue playing. Cats are naturally drawn to the crinkle sound and premium catnip of this culbuto mouse. 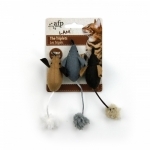 The natural hunting instinct will take over as your cat tackles, bats and chases the uniquely designed mouse. Give your feline pal their new best friends. 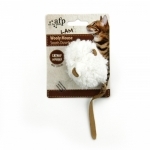 This lamb wooly mouse with mouse sound comes with vivid appearance to give your cat perfect playtime. Catnip infused and mouse sound will encourage playing instincts. 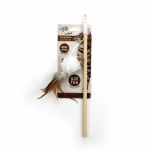 This dead bird will stimulate your cat’s natural instinct to stalk and swat. Each toy features catnip inside for added appeal. AFP offers Multiple Types Available at HRCO. The Earth Rated® handle bags are packaged in a box made from recycled materials that dispenses on bag at a time. Convenient handles mean quick tying and disposal.